SmartsStrand Silk by Mohawk utilizes manufacturing technologies to add supreme softness to residential carpet, with a durability and strength level close to that of commercial carpet. 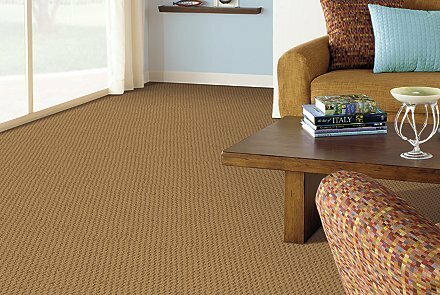 SmartStrand is the only carpet that provides permanent, built-in stain and soil protection. It will never wash or wear off. On other carpet types stain and soil protection is temporary and it has to be reapplied as time marches on. Nylon carpets typically loose about 50% of their given stain and soil protection after only 3 steam cleanings. This directly influences how difficult it will be to keep a carpet clean over time. Mohawk SmartStrand Silk eliminates this issue entirely. Because it is a performance powerhouse, SmartStrand Silk carpets will look better longer compared to other soft nylon carpets. Independent wear testing has shown that it does not start to show traffic related wear until about 60,000 footsteps! SmartStrand Silk fibers are made in part from corn sugar, what many Americans think is bad for them. Well luckily for you, you will not be ingesting the floor! By using this rapidly renewable resource, it reduces dependency on petroleum. About every seven square yards of a 40 oz SmartStrand Silk carpet saves the energy equivalent of one gallon of gasoline compared to an equal amount of run of the mill nylon!